Videos : Thornton likely facing a suspension after blatant cheap shot in Game 3. Thornton likely facing a suspension after blatant cheap shot in Game 3. 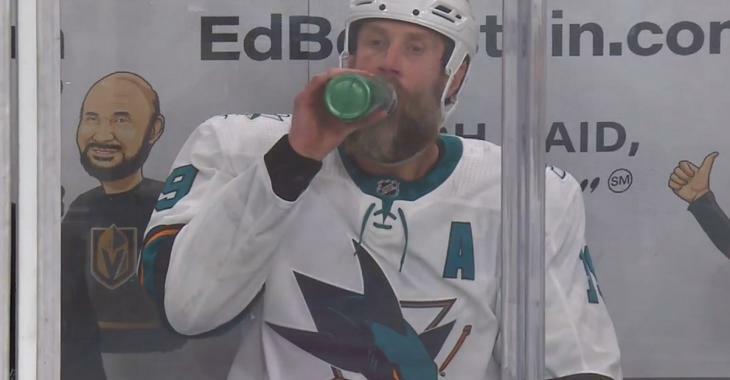 I can't imagine that the Las Vegas Golden Knights are going to have to worry about San Jose Sharks forward Joe Thornton in Game 4 of their first round series in the 2019 Stanley Cup Playoffs.